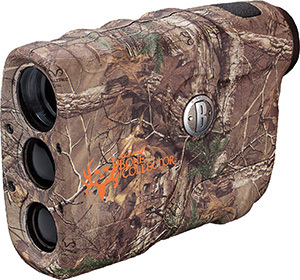 Welcome to our review of the Bushnell Michael Waddell Bone Collector 4x21mm Laser Rangefinder. Bushnell manufactures a number of rangefinders, some of which are excellent finds while others are just mediocre. Which camp does the Bone Collector fall into? Let’s take a look at the features and performance of the rangefinder and decide from there. The stated range of the Bushnell Michael Waddell Bone Collector 4x21mm Laser Rangefinder is 600 yards, but that is only for a highly reflective target. You can range trees out to 400 yards, but can only measure the distance to a deer from 200 yards or less. 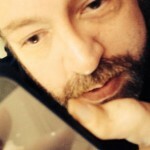 There have been a number of complaints about the range of this device, but primarily because most of the retail listings for this device do not provide the full rundown of the maximum ranges. Accuracy on this model is above average, since the rangefinder is dead-on to within a yard. How Easy is the Bushnell Michael Waddell Bone Collector 4x21mm Laser Rangefinder to Use? This rangefinder is very simple to use, with an intuitive menu and simple one-button operation. The display provides you with an aiming reticle, a battery life indicator, and the distance in yards or meters. The Bushnell Michael Waddell Bone Collector 4x21mm Laser Rangefinder focuses automatically, and there are few bells and whistles to get in the way of simple and easy rangefinding. How is the Bushnell Michael Waddell Bone Collector 4x21mm Laser Rangefinder Powered? Many of Bushnell’s rangefinders are powered by hard-to-find CR2 batteries, but not this one. Instead, it’s powered by an easier-to-find but still rare and antiquated 9-volt battery. Power consumption is quite good on the Bushnell Michael Waddell Bone Collector 4x21mm Laser Rangefinder, though, allowing thousands of readings from a single battery. The battery compartment is another chink in the armor of this rangefinder, however, because the 9-volt battery fits very snugly and is difficult to insert and remove. I doubt a rechargeable 9-volt battery would fit in the compartment, unfortunately. What Features Can I Expect From the Bushnell Michael Waddell Bone Collector 4x21mm Laser Rangefinder? This particular rangefinder is a very simple laser rangefinder, without any of the valuable features and modes that more expensive rangefinders will offer you. It is, however, auto-focusing and has a rainproof housing. The Bushnell Michael Waddell Bone Collector 4x21mm Laser Rangefinder provides 4X magnification of your target image, allowing you to see the target considerably better than just with the naked eye. The field of view on this rangefinder is a wide 320 feet at 1,000 yards, and the eye relief is comfortably set at 20mm. Simple to use single-button operation is the most important feature of this rangefinder, and the button is very nicely designed and stippled for easy operation. Make no mistake, this is a low-budget rangefinder designed mostly for casual use. Even so, the rangefinder does shine during low light conditions (no pun intended) with a bright, clear display that is easy to use. My only complaint about the low-light capabilities of this rangefinder, though, is that there is no way to adjust the brightness of the display. During extremely low light conditions, the LCD displays some haloing that makes it difficult to acquire your target. The optics on the Bushnell Michael Waddell Bone Collector 4x21mm Laser Rangefinder are fully multi-coated, and the focusing mechanism is automatic and quite reliable. Point at your target, and it snaps into focus quickly and without any fuss. How Durable is the Bushnell Michael Waddell Bone Collector 4x21mm Laser Rangefinder? The Bone Collecgtor rangefinder has a rainproof housing that is also quite durable. Unfortunately, the Bone Collector rangefinder is not protected by Bushnell’s Bulletproof Guarantee, even though Amazon claims that it is as of the time of this writing. It is, however, covered by a one-year limited warranty, and I’ve found Bushnell’s customer service folks to be very helpful and friendly. Thanks for reading my review of the Bushnell Michael Waddell Bone Collector 4x21mm Laser Rangefinder. This entry-level rangefinder is great for those just getting started in long-range shooting or hunting, but it lacks many of the features that you’ll eventually want to have, like angle range compensation and bullet-drop information. For the price, it’s an excellent rangefinder, but if you plan on being serious about long range hunting and shooting you may want to select a more feature-rich model.